As I've mentioned before, I'm passionate about teaching our companion pets husbandry behaviours. These are behaviours that the animal wouldn't normally do, however something that we as pet owners we will find useful. They are usually behaviours, that pets, that haven't been trained to accept and even want to participate in will find stressful. Unfortunately, our pets are often overlooked in the training of these behaviours. As our companion pets are generally small (compared to Zoo animals), usually forgiving and most often able to be successfully restrained they are often subjected to stressful situation and procedures. However with a little preparation and training, you can train your pet to participate in these behaviours, and actually actively seek to do so. These behaviours can include having injections, having blood taken, wearing a muzzle, nail clipping, stepping on and off the scales, pilling your cat, having ear medication just to name a few. Think about it - zoo animals are trained using positive reinforcement and wish to participate in the interactions. Watch this video of Hyenas from Denver Zoo - trained to present their neck or leg for blood taking. So what might be something useful for your pet? Below I have included some video links that will help or give you ideas for the training of your pet. 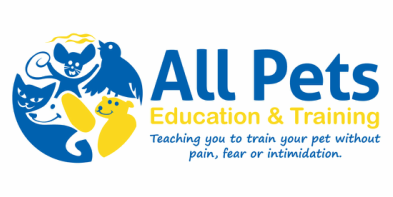 Many of the videos are from my own YouTube channel All Pets Education and Training. They are in green. If there is a behaviour you would like to train that isn't listed below let me know.